DisneyStore.com : FREE Shipping on all TANGLED merchandise & Fleece Blanket Deal! Disney Store online is celebrating this week’s release of Tangled on DVD with a special FREE Shipping code good on all TANGLED merchandise purchases! 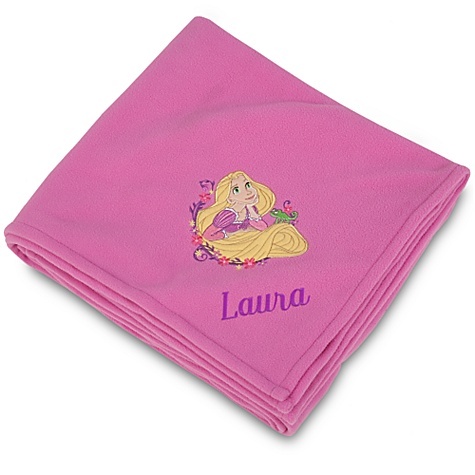 This soft and cuddly fleece TANGLED Blanket is only $5.99 (originally $19.50) For about $3.95 more, you can also get this blanket personalized, making for a great birthday or Easter present!